During its first precious months, baby’s tiny feet barely touch the ground. They are carried and coddled, tickled and kissed as they wiggle and curl with joy. Few things fill one’s heart like tiny feet kicking the air with abandon. Your endearing coin captures the essence of that happy time with a heart-warming design of baby feet struck incuse into the coin, like footprints in the sand. But unlike sand that shifts and fades with time, these imprints are pure silver and last forever! Celebrate and preserve those first loving memories with this charming and timeless keepsake. It’s presented in a beautiful keepsake box, and includes a specially designed certificate of authenticity with space to add your own personalized message! 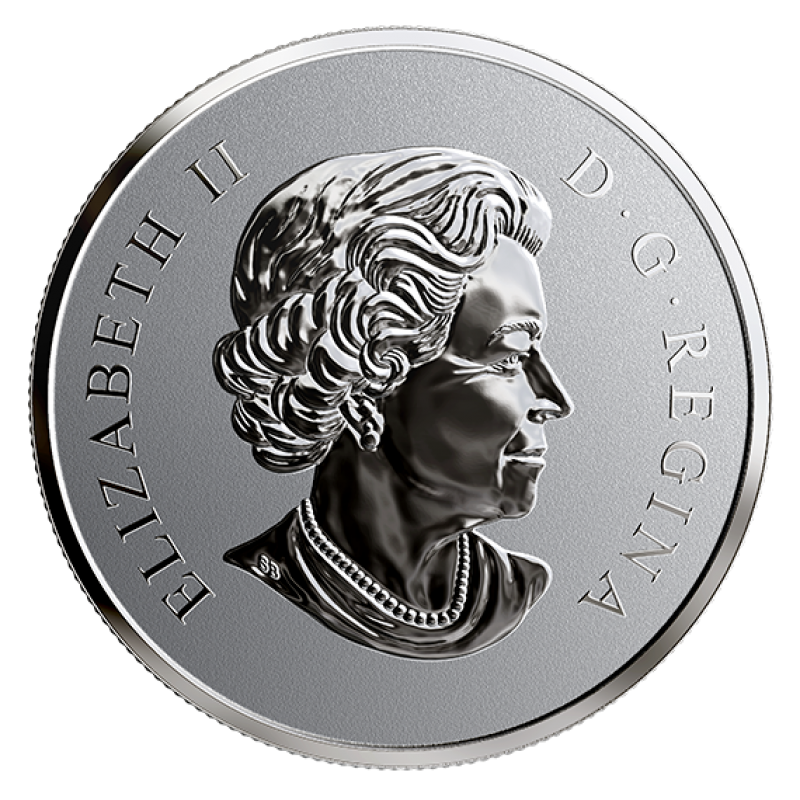 Celebrate the birth of a loved one in 2019 with this heartwarming coin! Order today! REPLICATES TRADITIONAL CAST OF A BABY'S FEET! 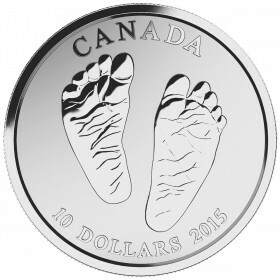 The pair of baby feet in your coin has been struck incuse so that it replicates the traditional cast of a baby's feet! BABY'S FEET HAVE A MIRROR-LIKE FINISH! 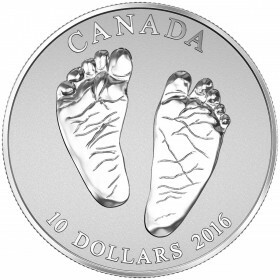 Your coin features a pair of baby's feet to commemorate the birth of a new baby, and uses a reverse proof finish so that the baby's feet stand out with a mirror-like finish! ADD A PERSONALIZED MESSAGE! Includes a specially designed certificate in full-colour with space to add your own personalized message! AN IDEAL GIFT! 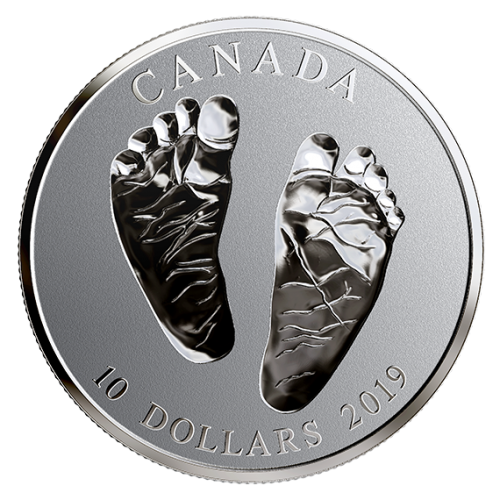 Your coin is the perfect way to celebrate a child's birth in 2019 as the coin comes packaged in a beautiful keepsake gift box. 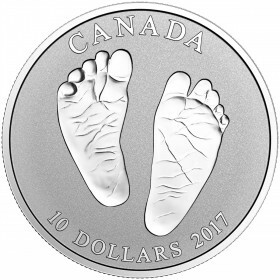 Your endearing coin captures the essence of that happy time with a heart-warming design of baby feet struck incuse into the coin, like footprints in the sand. But unlike sand that shifts and fades with time, these imprints are pure silver and last forever! 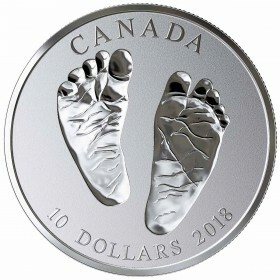 2019 Canadian $10 Welcome to the World, Baby Feet 1/2 oz Fine Silver Coin comes encapsulated and presented in a Royal Canadian Mint-branded clamshell case, premium graphic box and Certificate of Authenticity.